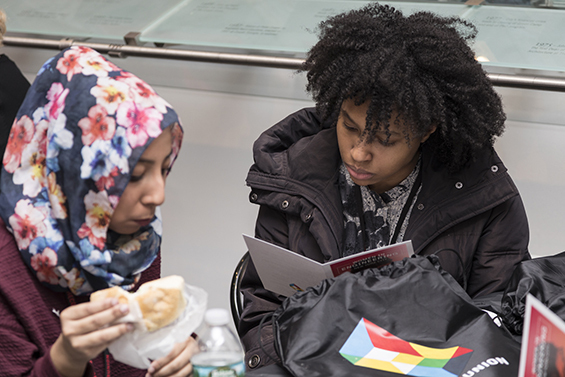 On Thursday, March 9, The Cooper Union hosted nearly 100 high school students from the tri-state area for the annual Women in Engineering event. 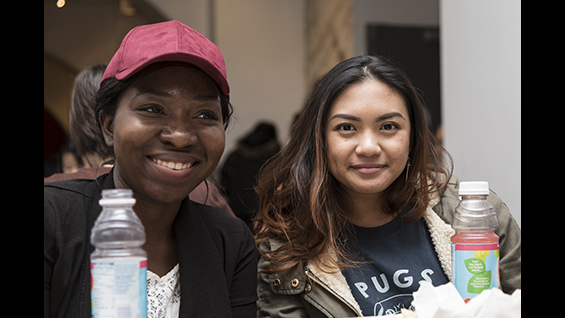 The event welcomed prospective female engineering students and their families to learn more about Cooper’s program from faculty, administrators and current students. 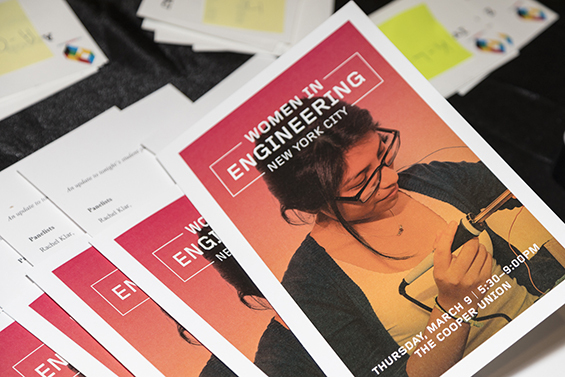 Sara Wong, the president of Cooper’s chapter of the Society of Women Engineers (SWE), a co-sponsor of the event, also welcomed guests to attend Cooper to “tackle problems and improve the quality of life.” At The Cooper Union, SWE strengthens the female engineering community through a mentorship program, professional development and volunteer opportunities. 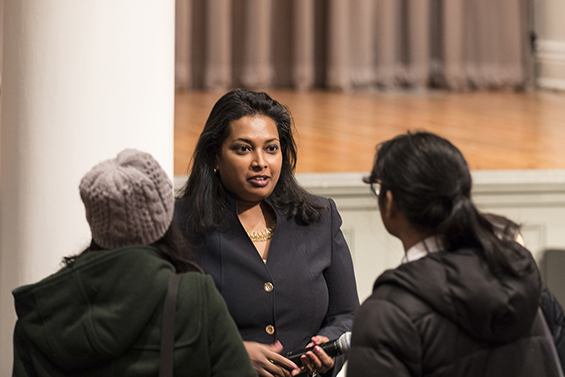 Attendees had the option of attending three topical breakout sessions: research culture led by Associate Dean of Research and Graduate Programs Anita Raja, career development resources led by Director of Engineering Career Development & Outreach Jolie Woodson, and application and financial aid information. 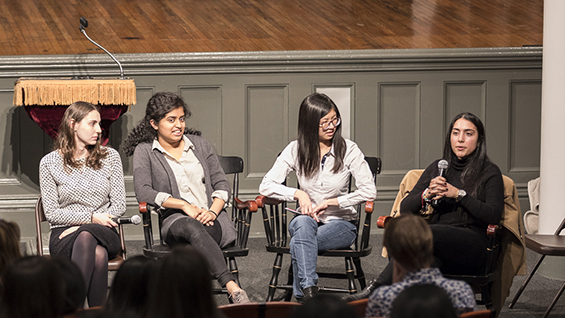 The program ended with a student panel addressing common questions about engineering and Cooper Union in general. During the program, President Laura Sparks noted that the previous day was International Women’s Day. “While the emphasis of this global observance was on illustrating what a day looks like without women, I’d like to reset the agenda a bit for us tonight to focus on what engineering can look like with women,” she said.